Workplace culture is garnering more attention in Asia lately. How do you know if you’ve done it right? 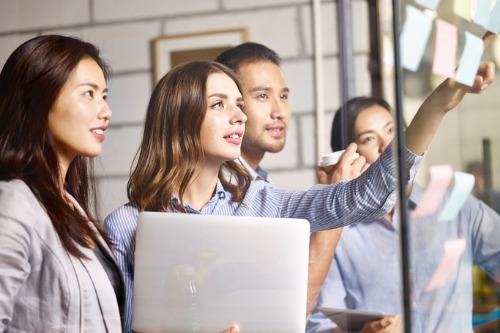 Workplace culture is increasingly garnering more attention as employees look to their organisations to create a great employee experience that attracts the best talent and keeps people wanting to stay. Here are seven indications that you’re on the right track. You’ve taken the time to ensure that those you oversee know where they fit in the organisation and truly understand how their contributions help the company succeed. While this may seem like common sense, studies show that one in five employees believe there is no reason for their organisation to even exist, making it substantially more difficult to understand why their individual roles are valuable. You’ve done some soul searching, discovered your organisation’s reason for being, and have found a way to articulate that to employees in an inspiring, culture-building way. Unfortunately, this is not the case for many organisations, given that an astounding 40% of employees think their organisation only cares about its profits, and only 54% of employees say their organisation’s purpose motivates them. But purpose, when communicated correctly, is a bedrock principle in creating a successful culture. Unlike the 45% of employees who do not feel that they regularly learn new, valuable things in their current roles, your employees feel they are given the opportunity to grow. Doing so enables them to be stretched in ways that allow them to learn new skills as well as opens up doors for them to have the opportunity to help influence important decisions. Success, in many ways, means building goal-oriented workgroups where everyone can bring their best work to the table – that includes encouraging team members to make connections with other employees they may not normally interact with and allowing them to get exposure to other business functions regardless of their actual titles. While more than one in three employees say the recognition they receive feels like an empty gesture that isn’t meaningful to them, your organisation openly – and sincerely – celebrates a job well done. Whether or not the overall organisation is “successful” at any given time, you understand the importance of assuring employees that they themselves are making a positive impact. Employees, more than ever, want their employers to respect emotional, social, and financial needs in addition to their physical health. And, while 40% of employees agree that their job creates a great deal of negative stress in their lives as well as the fact that only 58% of employees say their job allows them to balance their work and personal life, yours is an organisation that values work-life balance. Sadly enough, more than one in four employees do not trust their direct managers. Fortunately, you know the people on your team as individuals, give credit for their work and ideas, and foster an atmosphere that makes it easy for employees to go to you with questions or concerns. You’ve also mastered the difference between being a boss who gives orders and being a leader who does your best to help them accomplish and excel. Whether you’re just beginning your workplace culture journey or are in the midst of fine-tuning your processes, consider the above seven as a good starting point towards doing workplace culture right. For more ideas about ways you can improve your organisation’s culture, contact O.C. Tanner today.